In our 2018 overview of leading marketplaces in different regions of the world, we already looked at top marketplaces in North America and top marketplaces in Europe. Time for part three: Asia. The scale and growth rate of ecommerce in Asia really sets it apart from other parts of the globe. 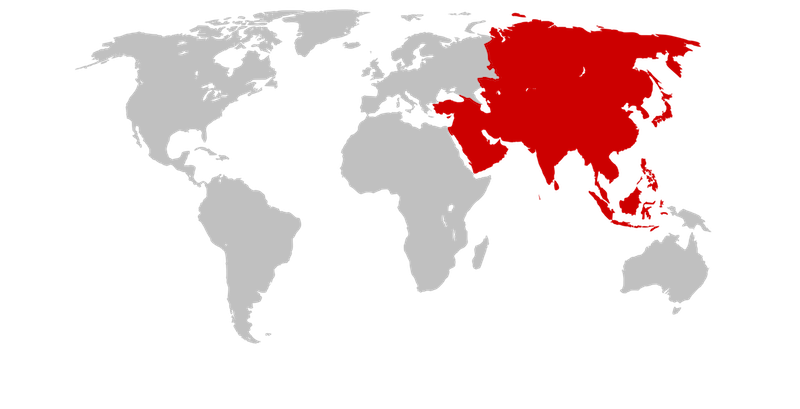 China alone is the largest ecommerce market in the world. This year, China’s predicted total revenue is said to reach €871 billion ($1 trillion! ), and by 2020 the market is expected to be larger than the USA, Japan, the UK, Germany and France combined. India is also strong. The Indian ecommerce market is expected to grow from $38.5 billion in 2017 to $200 billion by 2026. India’s ecommerce revenue is growing at an annual rate of 51%, making it the highest in the world. 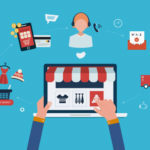 Thanks to digital transformation, ecommerce in other Asian countries such as Indonesia, Malaysia, Philippines, Singapore, Thailand, or Vietnam is also growing exponentially. For international sellers, Asia-based marketplaces are the first gateway to this region of the world, so we have collected 16 platforms that are the core of Asian ecommerce in 2018. Alibaba is the giant of Chinese ecommerce and the World’s Largest B2B ecommerce marketplace. Its market cap recently broke $400 billion, and it currently covers 80% of online sales in China. Alibaba operates in 200 countries, selling over 100 million products across 40 different categories. 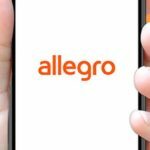 It helps connect wholesalers based in China with nearly 200 businesses around the world on a single marketplace platform. Suppliers manufacture and sell products in bulk to buyers looking for inventory for their companies. The company also operates other huge and highly successful ecommerce sites such as AliExpress, TMall and Taobao. AliExpress is an Alibaba-owned marketplace that targets buyers outside China. It is Alibaba’s B2C international site offering international shoppers goods at factory prices without a minimum order size. 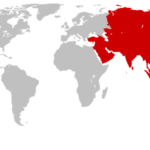 AliExpress has a global English site and operates in 15 other languages: Russian, Portuguese, Spanish, French, German, Italian, Dutch, Turkish, Japanese, Korean, Thai, Vietnamese, Arabic, Hebrew, and Polish. 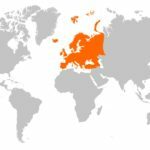 The top three countries ranked by total spending on AliExpress are Russia, the United States and Spain. 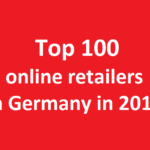 In sum, AliExpress has users from over 220 countries, more than 60 million active buyers and over 20 million visitors daily. Flipkart is India’s largest marketplace with over 10 million customers buying from roughly 100,000 suppliers. It started in 2007 and grew to a real success story. Just like Amazon, Flipkart first sold books, but it quickly started offering products in many different categories. Its success also stems from the fact that Flipkart was one of the first adopters of cash-on-delivery payments which proved successful in getting more customers to use the service. It has also invested in its own logistics service and own infrastructure to support the growing ecommerce industry in India. Flipkart has over 100 million registered users and 43% share of the entire India’s ecommerce market. 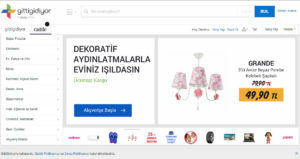 GittiGidiyor is a Turkish subsidiary of eBay, operating a marketplace offering a wide range of products, from clothing and accessories to collectibles such as coins. It has 60 million monthly visits and nearly 19 million registered users shopping for 15 million products across 50 different categories. GittiGidiyor is the most popular e-shopping mall in Turkey and one of the leading players on the Turkish ecommerce market. 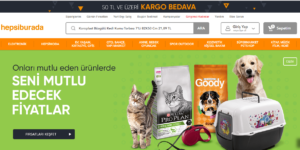 Hepsiburada is Turkey’s e-commerce leader, also serving as an online marketplace for entrepreneurs since 2015, with more than 12.000 merchants. 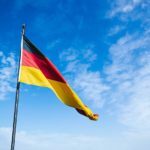 It is one of Europe’s fastest growing e-commerce companies, reaching 21 million unique visitors, and 100 million total visits on a monthly basis. Hepsiburada has 4.5 million product varieties and 10 million products (SKU) in 36 different categories. With 100 thousand sqm storage area in Gebze, Hepsiburada owns one of the largest operation centers of e-commerce and relies on high-tech infrastructure. Hepsiburada is part of Hepsiburada Group, one of the largest in Eastern Europe, Middle East and Africa (EEMEA) region. HipVan is a Singapore-based curated e-commerce platform that features design inspirations for everyday living and sales at up to 70% off retail. It works with design studios and independent designers to bring high quality products to consumers in Singapore and beyond. It has around 90,000 customers, but aims to conquer the home market in the segment of designer furniture and lifestyle products, fighting with low quality and low-margin goods from China. JD.com is the second-largest Chinese B2C marketplace with over 300 million registered users. 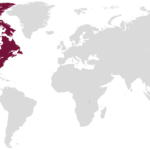 It also operates in Spain, Russia, and Indonesia. 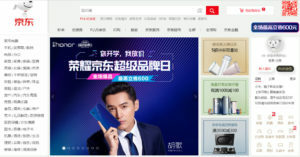 It operates a program that allows foreign (non-Mainland China) companies and brands to sell directly to the Chinese customers vie the JD.com site. JD.com is the world’s leading company in high tech and AI delivery through drones, autonomous technology and robots. It possesses the largest drone delivery system, infrastructure and capability in the world. 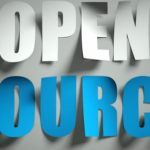 Recently, it has started testing robotic delivery services and building drone delivery airports, as well as operating driverless delivery by introducing its first autonomous truck. Kaola is a Chinese marketplace that is part of the NetEase group, a Chinese technology company. Kaola is a popular cross-border shopping platform with 30 million registered users. Sellers can set up a store on Kaola or sell wholesale to Kaola, which then resells to customers. In 2016, Kaola generated more than $1 billion in sales and brought more than 3,000 brands with more than 2,000 products from more than 70 countries and regions to Chinese customers. 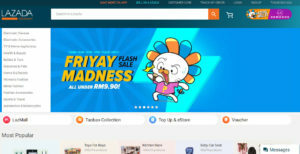 Lazada is a marketplace owned by Alibaba Group that operates in Indonesia, Malaysia, Philippines, Singapore, Thailand, and Vietnam. It generates roughly $1.5 billion in annual sales which makes it the biggest ecommerce website in Southeast Asia. 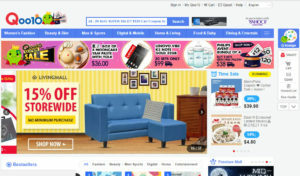 Lazada gets over 50 million visitors a month and offers a custom fulfillment service. It offers products in various categories ranging from consumer electronics to household goods and fashion. It is also the most followed online platform on social media giants Facebook, Twitter, and Instagram. Qoo10 is a Singapore-based marketplace operating in China, Indonesia, Malaysia, and Hong Kong, selling all sorts of products. According to Euromonitor data, it accounts for more than a third (32.6%) of Singapore’s ecommerce market, effectively beating Amazon which only has around 11.5% of the local market. Qoo10 was formerly known as Gmarket and was founded in 2010 by South Korean Ku Young Bae. In 2009 it renamed itself after it was bought by eBay for S$1.2 billion. Singapore is Qoo10’s second biggest market after Japan. It claims to have 3 million total users and 600,000 daily active users in the Southeast Asia. Rakuten is a Japanese marketplace selling over 18 million products. With over 105 million members in Japan, it has the largest market share in the country – around 80% of Japan’s population buy from their sites. 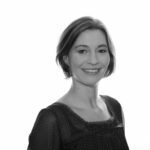 Founded in 1997 in Japan, Rakuten has expanded globally by acquiring well-known names such as Play.com in the UK, PriceMinister in France, Buy.com in the US and many others. Like Alibaba and Amazon, Rakuten is one of the strongest international ecommerce brands. 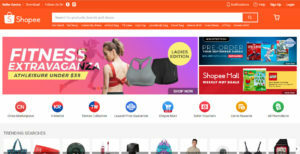 Shopee is one of the leading mobile e-commerce platforms in Southeast Asia. It operates in Singapore, Malaysia, Thailand, Taiwan, Indonesia, Vietnam, and the Philippines. As of 2017, the platform recorded more than 180 million active products from over four million entrepreneurs. In 2017, Shopee launched Shopee Mall with 200 brands in Singapore. The dedicated portal features thousands of products sold by leading brands and retailers in the region. 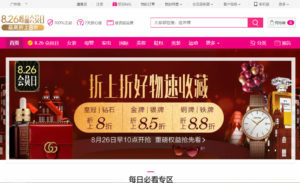 A year later, it launched the China Marketplace portal that offers shoppers easy access to products from Chinese merchants. Snapdeal is an India-based marketplace with over 40 million users, 300,000 sellers and 35 million products. To sell there, retailers must be registered businesses in India. Snapdeal started in 2010 and has grown through strategic acquisitions by eBay. 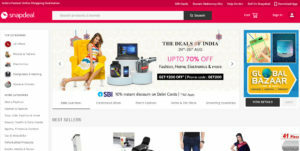 It promises to offer the best-priced deals on branded products from categories such as electronics, fashion and apparel. As part of their Snapdeal Plus program, the marketplace handles all storage, packing and delivery making it easy for international sellers to reach Indian customers. 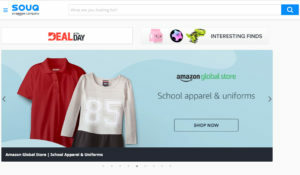 Souq is an English-Arabic language e-commerce platform owned by Amazon. It is the largest e-commerce site in the Arab world. The website was founded in 2005 as an auction site linked to internet portal Maktoob. In 2011 Souq.com changed its model to an online shopping site similar to Amazon and launched its own marketplace. It sells over 8.4 million products in 31 categories, including consumer electronics, fashion, health and beauty, household goods and baby products. The site has around 45 million visits per month. Taobao is a Chinese marketplace owned by Alibaba. It has 617 million active users and over 1 billion products for sale. Taobao is listed as the ninth most visited website in the world. Founded by Alibaba Group in 2003, Taobao Marketplace facilitates consumer-to-consumer (C2C) retail by providing a platform for small businesses and individual entrepreneurs to open online stores that sell to consumers in Chinese-speaking regions and abroad. 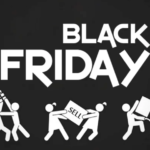 At the moment, the marketplace has nearly 7 million active sellers. Tmall is a Chinese B2C marketplace, also owned by Alibaba. Just like Taobao, it is one of the largest ecommerce marketplaces in the world with roughly 500 million users and 40,000 sellers. Tmall sells branded goods to customers in China and neighbouring countries through special warehouses provided by the platform. Tmall provides the complete shopping solution, while merchants only have to supply the product. 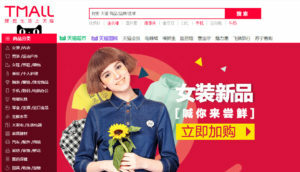 Among international brands selling on Tmall there is Burberry, Zara, Disney, L’Oréal, Adidas, Proctor & Gamble, Unilever, Gap, Ray-Ban and Levi’s. VIP.com is a Chinese company that specializes in online discount sales. It has roughly 60 million active users, more than 20,000 brands, and 20 million daily visitors. Following Tmall and JD.com, it is now the third largest e-commerce site in China. 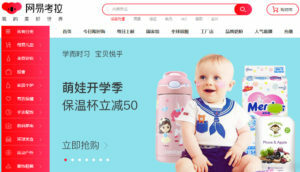 VIP.com enables selling products in categories such as fashion, homeware, cosmetics, mother and baby, toys, food and drink, and welcomes sellers from outside China. According to most recent financial figures reported publicly by VIP.com, in 2016 the site generated annual net revenue of $2.73 billion and a total of 269.8 million orders, making profit for 19 consecutive quarters.